No matter what your taste in music, Penn State has you covered. There are multiple venues offered on campus, and this leads to multiple concerts a year. 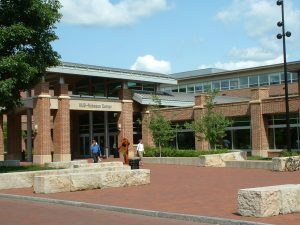 They range from large-scale performances in the Bryce Jordan Center to free smaller concerts in the HUB’s Alumni Hall. Free concerts in the HUB are a great way to meet new people your freshman year. All you need to do is get a group together, swipe your PSU ID, and go. This is arranged by The Student Programming Association (SPA). Performers have included Jon Bellion, Matt & Kim, Iron and Wine, and The Chainsmokers. If you’re willing to spend some money, the Bryce Jordan Center brings in its share of performers each year too. This September, Kanye West performed and Florida Georgia Line is performing March 25. In past years, Rascal Flatts, Foster the People, and Steve Aoiki have held concerts there. Blake Shelton is even coming to perform at Beaver Stadium in July. Even though there are so many concerts available, the most universally anticipated one is Movin’ On. This event is an outdoor music festival planned by students that takes place each April. The lineup is revealed March 1, and students eagerly await it. This year, Two Door Cinema Club is the headliner. Other exciting performers include All Time Low, D.R.A.M., Clean Bandit, and Love and Theft. 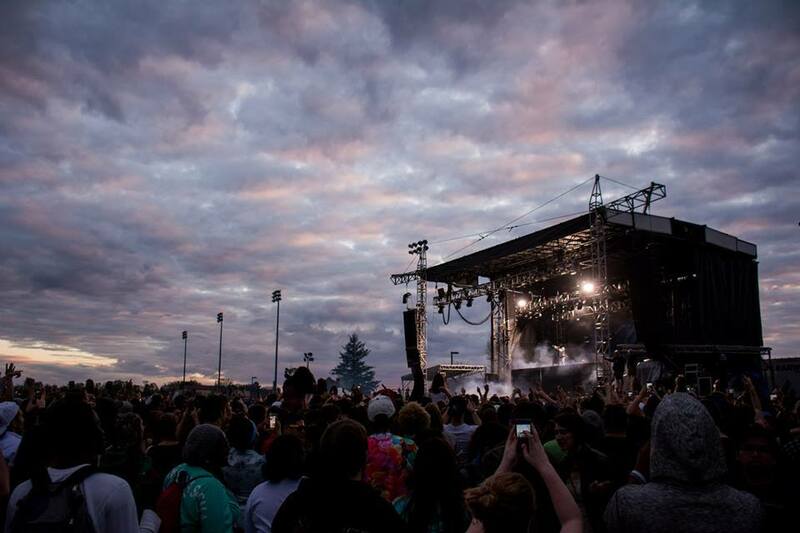 Past years’ headliners were Walk the Moon, Nelly, Passion Pit, Big Sean, A$AP Rocky, and Fitz and the Tantrums. The event is a great way to end the year. You can read more about this Movin’ On here. Simply put, if you love music, Penn State is definitely a great place to be. Penn State’s Hospitality Management Program is one of the best. The capstone class for the major is HM430. 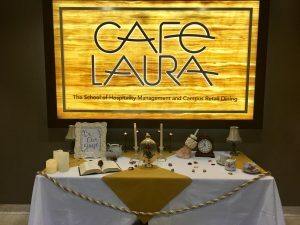 This class places students into groups and they plan theme dinners at Cafe Laura, an on-campus restaurant in the Mateer Building. The theme dinners range from Star Wars to Mardi Gras. 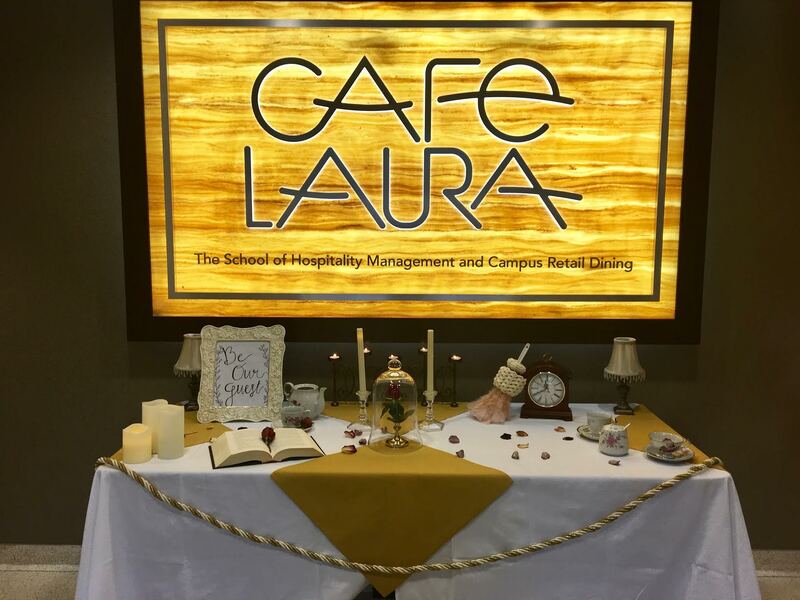 One of the themes this semester was “Beauty and the Beast.” The dinner was aptly named “Be Our Guest: An Enchanted Evening of Fine French Cuisine.” The restaurant was decorated to the theme and a table was decorated to greet patrons with an enchanted rose, clock and teapot to name a few Beauty and the Beast related decorations. 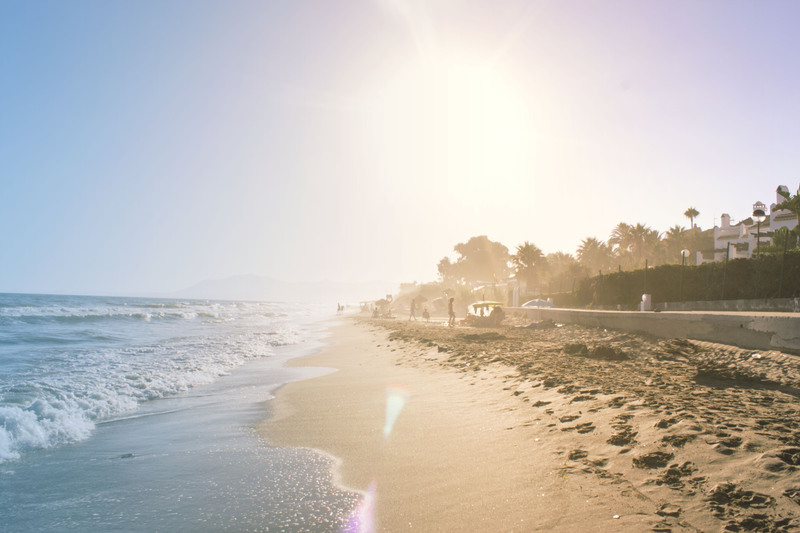 I spoke to Sebastian, a senior Hospitality Management t major and he explained the process. “The first day of class you pick a theme and the dishes are planned around the theme. Everything is rose themed and red and white. The food is French based cuisine,” he said. Reservations are required however, and are somewhat hard to come by. Sebastian explained that reservations open up the third week of the semester and typically fill up for each of the two theme nights two weeks before the first one. So if you want a reservation, you better get one as early as possible! The events are great experience for students as they give them multiple duties that they might encounter in the real world. You serve as management for the theme dinner that your group prepares, but can work in the kitchen or as a server for the dinners that your other classmates are in charge of. Sebastian’s favorite theme night was of course his own, but he thought the Star Wars night was pretty cool too. Meals are affordable and model industry prices. “The average check is around $26-27,” Sebastian said. While the theme dinners are great experience for Hospitality Management majors, they also make for a great night with friends. For more information about how to get involved or how to make a reservation, click here. College tours are pretty inclusive- they try to show you everything they can. 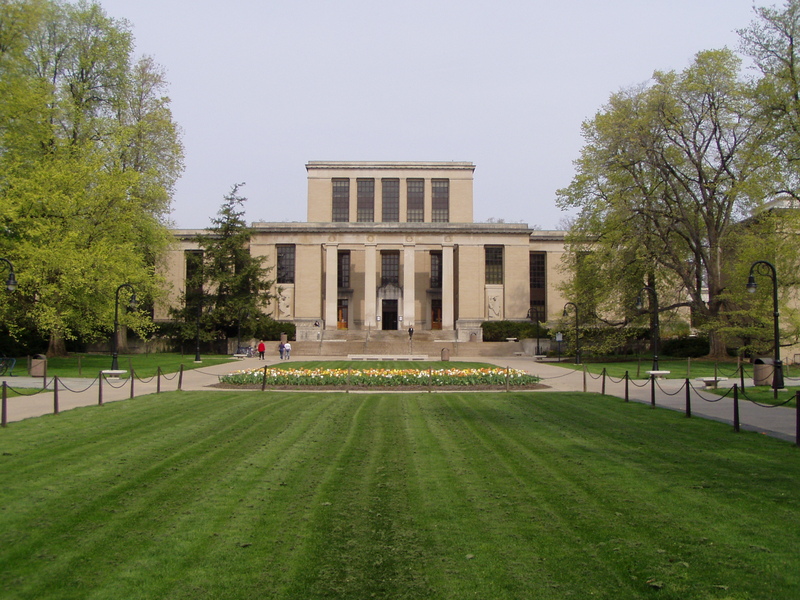 However, with a school as big as Penn State, it’s hard to show you all the campus has to offer. While you’re sure to pass all of these spots on your tour, revisit them when it’s over and spend some extra time here. 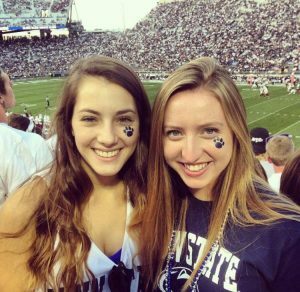 Chances are, you’ll spend most of your time at these places once you’re an official Nittany Lion. Old Main was the first building at Penn State. With its bell tower and beautiful view of the lawn, Old Main really gives you that old college campus feel. If you haven’t taken a picture of Old Main, did you really ever visit Penn State University Park? Students spend tons and tons of time at the HUB. I was told this on my first tour, but didn’t really believe it. Now, I spend virtually all my free time in my club’s office in the HUB, or grabbing food at Starbucks, Burger King, or Mixed Greens. Take a walk around the HUB, or grab food there on your tour. You can also grab a souvenir in the Bookstore. I know I said you had to take a picture of Old Main, but the Lion Shrine is really the best picture spot on campus. Lots of students take a picture the first time they visit, and then another one at graduation. If nothing else, it makes for a cool #TransformationTuesday. You might not think you’re going to spend all that much time at the Libraries, but sooner or later, you will. It’s a pretty big building, so start to get to know it as soon as you can. One of the prettiest views on campus is from standing at the top of the library, and looking out at the mall. The landscape changes every season, and it’s really beautiful. 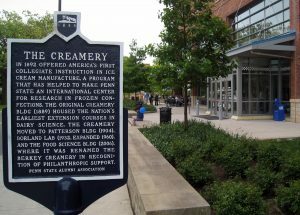 You haven’t tasted ice cream until you’ve visited the Berkey Creamery. Penn Staters have perfected plenty of different flavors, but our one rule is no mixing. I recommend the Chocolate Chip Cookie Dough with blue and white sprinkles. How did you hear about the College of Education Student Council? I was on a college visit during my senior year of high school, and the Ambassadors of the Student Council were giving tours and heading a panel. I was really impressed by their personal experiences within the college due to their involvement in the council, so I knew that I wanted to get involved when I came to Penn State! What is your favorite part about being a member of the organization? I love how our club is able to connect with both the students, alumni, and administrators of the College of Education. We reach out to prospective students as well, and it’s really exciting to get to share with them all of the great things that our college is doing for the university. What made you want to go into elementary education? I absolutely love working with kids. They are so eager to learn and experience the world around them, and I’m continually inspired by all of the amazing dreams that they have for themselves. Kids are the future, and it is incredible to get a glimpse into that being a teacher. 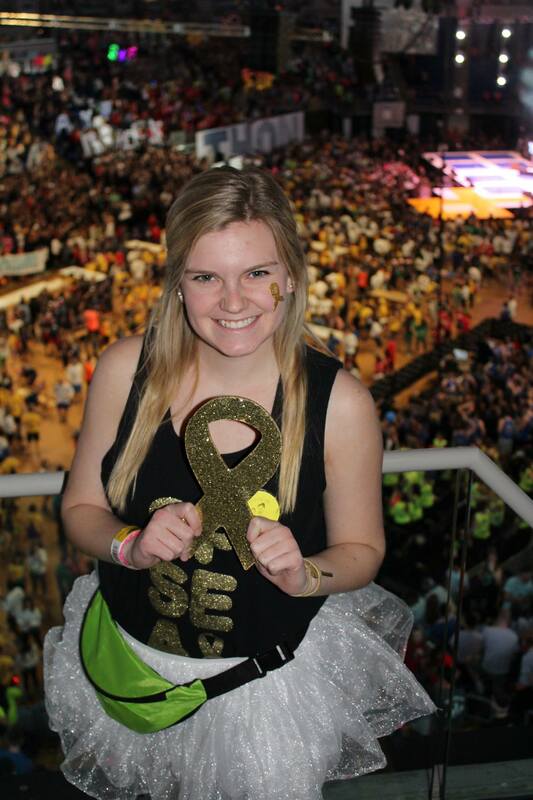 What is the best part about being an education major at Penn State? I absolutely love being an education major at Penn State. The college is extremely kind and welcoming, and you can tell that everyone loves what they do. I have met so many students in my major who are so passionate about education, and it sets a great standard for our college. 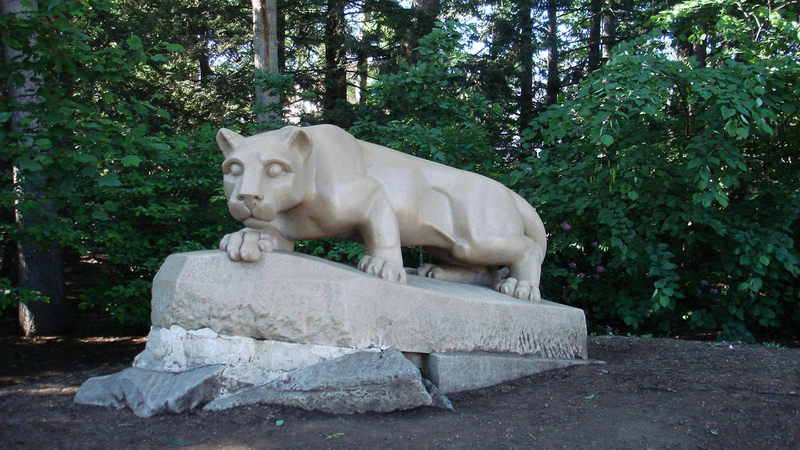 Penn State University Park is home to over 40,000 undergraduate students. With a campus that is over 8,000 acres, you can sometimes feel like a small fish in a big pond. This was something that used to scare me when I was thinking about picking a school, but now the large size is my favorite part. Like a lot of people, I come from a small town. My graduating class size was 170, now it’s 9,000. That was a huge change for me. I was worried that I wouldn’t be able to adjust. What really surprised me though, was how quickly I was able to navigate campus and even find some favorite spots. Choosing a spot on campus that you like and is familiar to you can sometimes make it feel a little homier. Even if you don’t know the entire campus like the back of your hand just yet, you know that place and it definitely helps. Senior Andrew Leite said that one of the easiest ways for him to make Penn State feel smaller was to find a special place. 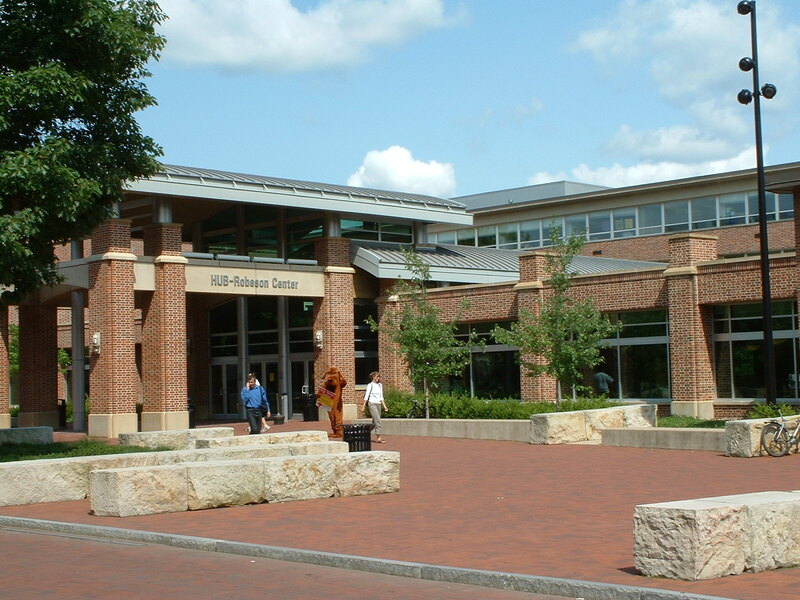 His was the Business Building, conveniently located right by East Halls. “It was huge, air conditioned in the summer, and warm in the winter,” he said. Something that I never considered either was that I might enjoy the anonymity that a big school can bring. There’s something kind of liberating about walking around campus and getting to disappear a little. There are the busier spots on campus like the HUB at lunch time- something that still overwhelms me to this day- where you know you’re going to run into tons of your friends. However, if you walk to a quieter spot, it can be nice to fade into the background. The same thing goes for classes. Those giant lecture halls that everyone warns against aren’t so bad either. You get your fair share of small classes, especially once you’re an upperclassmen, but I always liked the lecture halls. If you have an early morning class and you don’t want to see anyone, you can sit in the back, get your notes, and not worry about it. However, if you want to make it feel more personal, make a friend in the class or take it with a friend who also needs those credits. There are plenty of ways to make the large size of Penn State less intimidating- or ways to embrace it if you find you actually like it better that way. If you’re like me, then you had a lot of trouble deciding which college to go to. I’m from out of state, so I didn’t grow up a die-hard Penn Stater. 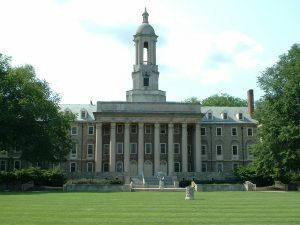 I went back and forth between Penn State and another college for months before finally deciding to come here just a couple of days before the May 1st deadline. Unfortunately, the later you wait, the higher your chance is of getting placed in supplemental housing. I crossed my fingers and hoped for the best, but that summer I found out that I would be in supplemental housing with three other girls. I was really nervous. What if they didn’t like me? Would I have to sleep on a bunk bed? What if none of us got along? When I met them though, everyone was pretty normal and nice. We all got along for the most part and only got in a fight or two. I did have to sleep on the top bunk though, which was kind of a pain. In November, I’d gotten settled in my supplemental situation, but one of my four roommates texted me out of nowhere that she wanted to move out. She asked me if I would be interested in moving out with her. People in supplemental housing get first choice in switching rooms for the second semester. So, my roommate had found an open room for two and wanted the two of us to take it. I thought about it for a little bit, but decided it would be the best choice for the two of us to move into the double. We told the other two girls, and they were happy. We could still all stay friends, and now they had a larger room for just the two of them. No matter what your supplemental situation is, you can make it work. Claire still lives with one of the girls today. These stories also speak to having random roommates. People often feel like they have to find their roommate beforehand. While that sometimes works out, from what I’ve seen, success rates are about the same when you pick someone or go random. I’ve had five different random roommates over the years, and they were all really cool girls. If you find out that you’ll be in supplemental, don’t freak out. A lot of times, it’s an easy group of people to become your “fast friend group.” Remember that everyone is just as nervous as you are, and they WANT to like you. If you go in with an open mind, things will most likely work out, and if not, Penn State is pretty accommodating. For more information about supplemental housing, click here. Happy Pride Week! 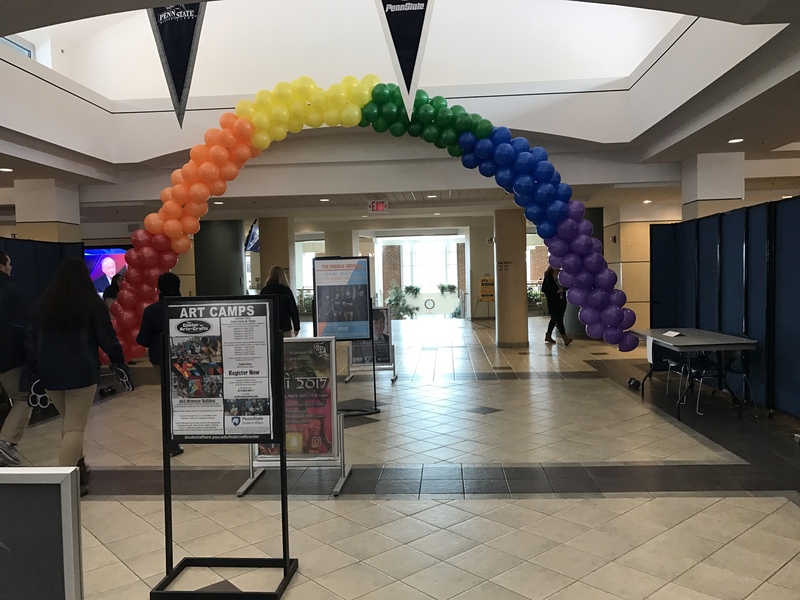 Pride Week is a whole week at Penn State dedicated to celebrating and creating awareness about the LGBTQA community. It is organized by the school’s LGBTQA Student Resource Center. 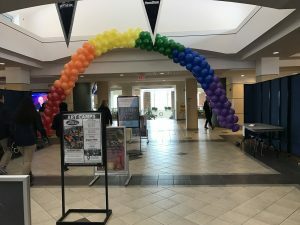 This year’s Pride Week includes a HUB takeover, rally at Old Main, and a pride march. Special guest Angelica Ross, a transgender actress and star of Her Story, will be speaking Wednesday. Zack, 19, is a freshman at Penn State and identifies as gay. He spoke about his experiences. One of his struggles is that he is a business major at Smeal and he worries the business world may not be as accepting. He mentioned though, that there is a group at Smeal, OUT & Allies in Business, that holds career resources specifically to create a diverse and welcoming environment. We also spoke about the LGBTQA culture on campus. To learn more about the LGBTQA Resource Center, click here. You hear a lot about what life is like on the University Park campus, but I’m sure you might be wondering about what it’s like off campus too. “Penn State is in the middle of nowhere” is a phrase that I used to hear all of the time coming from a town right by New York City. 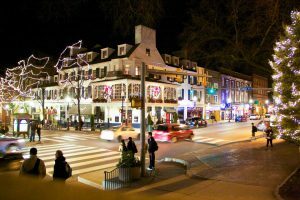 However, with our downtown area that stretches from College to Beaver Ave, and areas a little further that you can take a bus to, State College has a lot more to offer than you might think. For starters, there are plenty of chains right downtown. If you think you’re stuck to the dining commons, you’re wrong. We have a Panera Bread, Chipotle, McDonald’s, Noodle’s & Co., Five Guys, Dunkin Donuts, and Starbucks, to name a few. In addition to all these chain restaurants, we have a bunch of local favorites. Irving’s and Cozy Thai are popular, along with the famous Corner Room. A Sheetz just opened on Pugh St. as well. There are also a bunch of great clothing stores and boutiques. Metro and People’s Nation are some trendy boutiques, and there are also some big-name stores like Urban Outfitters. Target and H&M just opened this year as well. 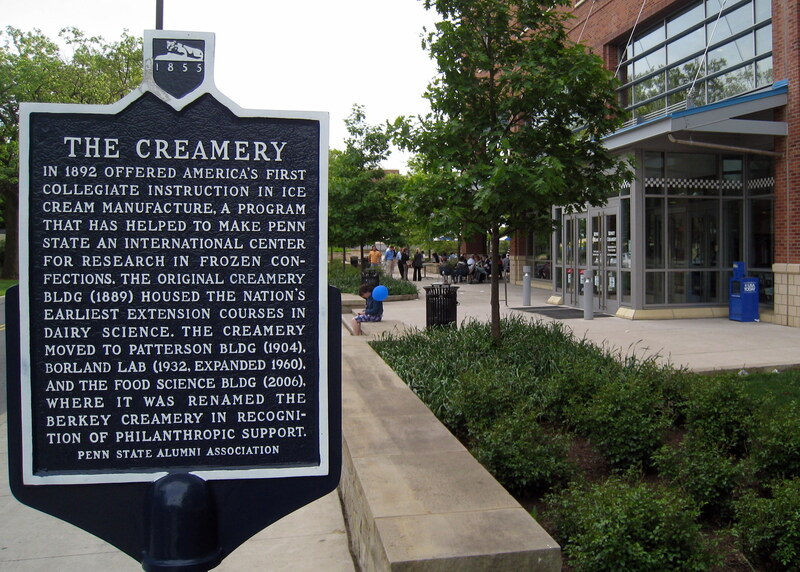 As far as options that are slightly farther away, we have the Nittany Mall. There is a bus that takes you right to it, and there are even more stores there like Macy’s, Charlotte Russe, and Forever 21. As far as things like groceries, toiletries, and school supplies go, we have a CVS and McLanahan’s in our downtown area. McLanahan’s has almost everything- toiletries, clothing, school supplies, food- you name it- and it’s located right on College Ave. There is also a McLanahan’s Downtown Market with just food and produce and it is located on Allen St. If our downtown stores don’t have what you need, Walmart is a short bus ride away. As far as fun things to do? There is a bus that takes you to our local movie theater, if you’re a movie-goer. If you’re artistic, there is a “paint your own pottery studio” called 2000 Degrees on College Ave, and if you’re in for something a little more unconventional, we have a place to play laser tag right downtown! Even if you plan on living on campus all four years, it’s nice to have the option of going off campus. Sometimes dining hall food gets boring, or you’re sick of doing the same old thing. Whether it’s right downtown, or a bus ride away, getting off campus can shake things up a little, and reminds you that you’re not trapped on campus. 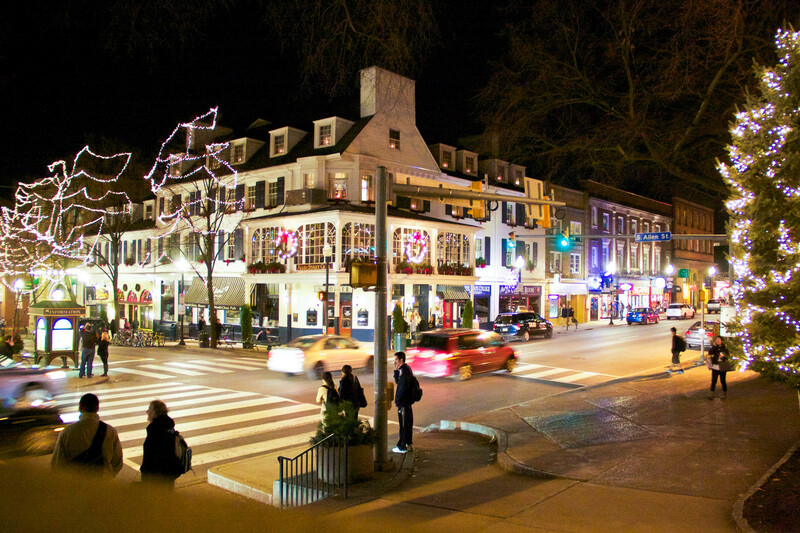 There are always things going on at Penn State, and the same is true about State College.